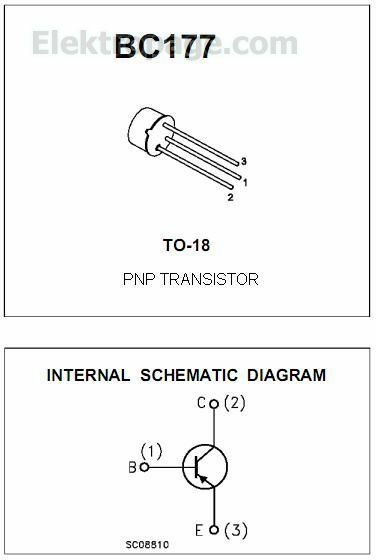 DESCRIPTION The BC177 is a silicon planar epitaxial PNP transistors in TO-18 metal case. It is suitable for use in driver stages, low noise input stages and signal processing circuits of television reveivers. The NPN complement is BC107.